Learning how to make jewelry is a most rewarding hobby to have. You get a great sense of pride creating your own beaded jewelry (by buying trollbeads) & other handcrafted jewelry pieces. 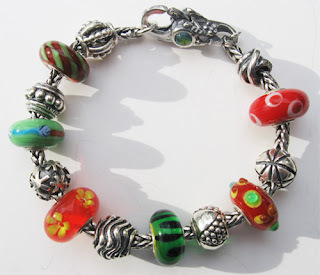 Bead charm bracelets have become incredibly popular, with many different companies making their own versions. The company that started it all, in 1976, was Trollbeads in Denmark. Silversmith Søren Nielsen designed the beads and strung them on leather cords. Later, the family-owned company introduced a chain with a removable clasp, allowing wearers to add their own combinations of beads. The Trollbeads collection continued to grow as interchangeable bead jewelry became a stylish trend. Today, Trollbeads come in a variety of materials, including silver, 18K gold, precious and semi-precious stones, colorful glass, and pearls. The beads are known for their detailed craftsmanship and whimsical designs inspired by mythology, fables and nature. The chains can also accommodate beads from other companies such as Pandora, because it’s very simple to remove the clasp from one end. Troll beads are sold online and at many jewelry stores around the world. Trollbeads.com is their official website, where you can order beads or look for a distributor near you. Another website, Trollbeadsuniverse.com, has a wealth of information about the company and its designers, and helps you locate your nearest retailer to place an order. New bead collections are launched every season. The company avoids the big department stores to focus on selling in smaller boutiques, so unless there is one near you, it may be best to order online. Pandora, on the other hand, is a company that also sells beads and charms, but their designs and distribution methods are different. Pandora was also founded in Denmark, in 1982. Now they sell their customizable bead jewelry in more than 65 countries. Pandora’s silver and gold necklaces and bracelets have a patented “threaded” design that allows users to interchange the beads by threading them onto the chain, and also add clips to keep them in place. The beads are available in murano glass, sterling silver, 14K gold and precious or semi-precious stones. Pandora.net allows you to browse the collections and find the store nearest you. Many major shopping malls have Pandora stores, and large stores such as Jared and Bloomingdale’s also carry Pandora beads. Chamilia, another bead charm company, makes beads and chains that are also compatible with Pandora. Unlike Pandora, their chains do not have the threads for attaching clips. Their collection includes many beautiful designs such as beads with Swarovski crystals. Chamilia designs are sometimes more cute and playful than Pandora. 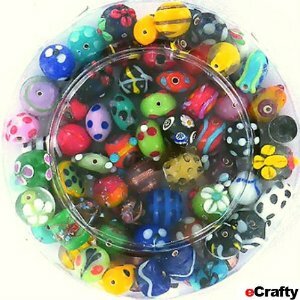 Beads making projects are very popular for those who want to have a hobby and not spend too much money. Making jewelry is fun - and selling it can be both rewarding and profitable. Wearable crafts are a fun activity to do with kids. These kids' crafts are a great way to spend a day. Some beading projects can include beads and pendants that are embedded within the knots as focal points and to add weight to the piece. Beading projects can be made from inexpensive decorative materials, or from gemstones and precious metals such as gold and silver. The design of your necklaces, bracelets, pendants, brooches, and earrings is limited only by your imagination. 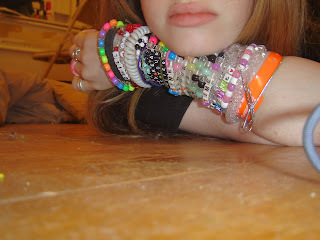 As an ornament, jewelry is generally worn on the body, such as earrings, necklaces, bracelets, etc. Jewelry, particularly when made with precious materials, is generally considered valuable and desirable. Once you've exhausted the list of personal jewelry that you'd like to create and were there is always the option to make additional pieces and sell them. Of course that is a decision best left to the artist!! Chamilia and Pandora – two different brands of designer jewelry – are gaining popularity among women across the world. From beads to necklaces, bracelets and other jewelry, these items can add a splash of color and personality to any outfit. Known for mostly sterling silver products, both Chamilia and Pandora jewelry can be worn for special occasions or everyday, depending on the owner. The beads are specially designed to allow people to show off their unique personalities by building combinations of these beads and showing them off. Because different people have different interests and values, there are hundreds of styles to choose from, and limitless ways to arrange the beads. Not only specializing in threaded beads, both companies also are known for their additional charms, stoppers, locks, and spacer beads. 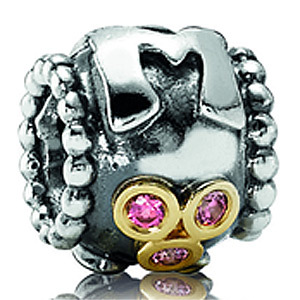 Chamilia has more of a “specialty” selection of charms, focusing on design and beauty, while the Pandora beads are heavier and designed in more of a typical “bead” style. Everything from animals, shoes, foods, word beads, glass beads, religious symbols and pieces with semiprecious and precious stones are available, and Pandora has many gold beads in their line to create a “higher end” look. By selecting different products, wearers can create a completely unique look that can be changed at will. Although there are may differences between the two companies – style, material, color, and price, just to name a few – the good news is that these products are compatible with each other. The beads are interchangeable, and may be purchased and worn together, allowing for more different combinations of beads and charms. This is especially helpful for people that do not always have access to places that sell specific brands of beads, as it does not mean that they cannot continue to add to their collections if they choose to. This is also helpful for those that find beads of both brands that they desire, because it allows for more freedom in creating the perfect arrangement. Both brands of jewelry offer wearers a simple, safe way to wear their beads and charms without fear of losing them should the bracelet or necklace come unclasped. The stopper and spacer pieces can help with that aspect, but often the jewelery will help itself. The ends of these chains and bracelets can be twisted off to organize and add beads, and then replaced to keep them in place, and close the circuit. These specially designed closures allow the pieces to be put on and taken off easily, while keeping each combination secure. So mix and match your Chamilia and Pandora jewelry pieces to get a great looking bracelet or necklace. Pandora is a well known company that makes stunning jewelry items including bracelets, earrings, watches, rings and necklaces. While the items appeal to both teenagers and adults, the style is very classic and designed to last for a lifetime. Unlike some companies which appeal to trends but are out of fashion in a year or two, Pandora jewelry is classic and timeless. Whether you pair the items with formal business attire or casual chic street wear, it adds a level of interest and beauty that few pieces can accomplish. There are two main ways to purchase Pandora jewelry, and both are discussed in detail below. Buy Pandora Jewelry In Stores: There are over three thousand different retailers that offer Pandora jewelry items in the United States alone, and countless more spread across the globe. Some Pandora retailers are exclusive stores offering only Pandora products. However, others are retailers that sell Pandora jewelry along with other brands as well. Typically Pandora products can be found in fine jewelry stores as well as upscale department stores with a fully stocked jewelry section. To find the nearest Pandora retailer to you, visit the Pandora website and use the locate store option to search by city, state or zip code. This allows you to find the closest retailers offering Pandora jewelry for sale. Buy Pandora Jewelry Online: If there are no Pandora retailers close to you, or if you want to order an item not available in any stores, then the online shopping option is a great choice. Browse the Pandora website and explore the many popular items for sale. Once you have found the ultimate collection of jewelry items that you wish to purchase, order it online from some of the popular retailers offering the products. 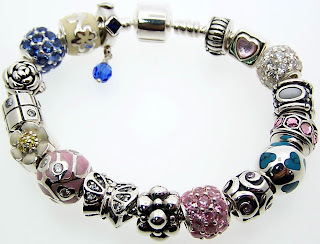 Some websites that offer great deals on Pandora jewelry include http://www.charms-usa.com & http://www.preciousaccents.com, although there are many more that offer a range of products. If you wish to buy a gift online but are not sure what the perfect present might be, consider buying a Pandora gift card online to give to a friend, family member of partner, allowing them to choose their own perfect gift. Whether you choose to purchase Pandora jewelry items in traditional retail stores or online, you are bound to enjoy the classic and upscale look of their popular charm bracelets, rings, necklaces and even rings and watches. Troll beads have been around for the last thirty years; these colourful beads each have their own story which is based around fairy tales, animals, flowers, mythology and astrology. The beads are made from a number of materials including sterling silver, gold, glass and precious stones. If you have not yet heard about trollbeads then I suggest you take a look around the internet and get involved in this world wide craze. They started in Denmark in 1976 when Soren Nielson created a small silver pearl (The Mask) from a wax model, which he drilled a hole through and the concept of putting these charms onto jewellery began. 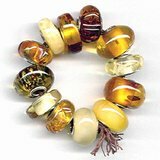 In the 1980s Lise Aagaard began an apprenticeship making troll beads, she began experimenting with materials and developed the first glass bead which became widely available in 2002. Now more technology means more beads of different shapes, colours and sizes can be made and there are now beads for all occasions and personalities with new designs coming out all of the time. The beads can be made into bracelets and necklaces and designed by you to suit any outfit or mood, or you can buy complete bracelets and necklaces to start your collection. Glass beads were designed by Lise Aagaard in the late 1980's but because of the complexity of making detailed designs on small pieces of glass, these beads were not available fully until the early Nineties. Now there are hundreds of glass beads of all colours and designs available, some with colours running through the glass and others with glass bubbles on the outer surface. Gold troll beads come in all different shapes and sizes including animals, fairy tale characters and abstract shapes. They go well with glass beads and the different characters help to create a theme or storyline running through each bracelet or necklace. These beads have a letter from the alphabet built into their design. You can buy your initials to incorporate into your troll bead necklace or bracelet or why not buy all the letters which make up your name? This really allows you to personalise your jewellery and make your own storyline through troll beads. These one of a kind beads are hand made and are completely individual. Some are prototypes which have been rejected while others are slightly imperfect and have been removed from production. Often this is simply because the colour is incorrect or the design has not come out as intended, but this just adds to the character and rarity of the bead. Some beads are retired after a while to make room for new designs. These retired beads are still available in our store but they can become rare. This is how troll beads first started in 1976, they are made of silver from wax models which are cleaned and drilled to make them into bracelet and necklace charms. Over the years more designs have been produced and now all shapes and sizes are available to compliment individual personalities and interests. And like gold beads, different mythical characters add to the story line of the bracelet of necklace. Bracelets can either be purchased as an individual chain or as a completed charm bracelet. The charms only fit onto trollbead bracelets and necklaces. Chains come in silver and gold and black and brown leather bracelets and necklaces are available. Clasps are available in gold and silver and a designed so they can be removed to allow the beads on the bracelet of necklace to be changed or reorganised. Clasps are decorated with patterns or are shaped like animals and flowers to fit in with the design of the jewellery. Some are also decorated with gems and stones although there are plain clasps available as well. Trollbeads are simply the best gifts you can buy a friend or even buy for yourself, they are fun, precious and most of all they are unique. Learning how to make wire jewelry is made by using simple materials to make a beautiful piece of art and is an easy project. A simple design can turn out to be a thing of beauty in the right hands. It only takes some simple tools and materials to make jewelry you can be proud of and sell for a good price. The first thing you need to do is get together the things you need. You have to have different sizes of wire. The higher the gauge, the thicker the wire is. The twenty-gauge wire is suitable for most jewelry. Memory wire is very suitable for making bracelets; it will stay in the shape you bend it. All you have to do is string the beads on it and bend the wire over on the end. You have to have clasps for fastening the jewelry. Earwires, eyepins, headpins, and jump rings are referred to as findings. You will also need some chain of different types and thickness. You will also need the right tools to make the jewelry. You will need some small pliers with a round nose. You may have to buy these at a craft shop, as the ones typically sold at a hardware store are too large. Some use chain nose pliers to grip a jump ring or the wire. These pliers are flat on the inside but the outside is round. 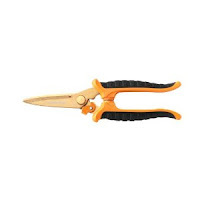 You will need something to cut your wires with such as wire cutters. You will also need a jig. A jig is merely a board that has pegs sticking out of it. You will use the pegs to shape the wire into the form you want and to prevent it from losing its shape. When you have all your materials and tools ready it is time to start making jewelry. Whether you are making a bracelet, anklet or necklace, you need to start with some wire. Use your crimping pliers to make a loop at one end. Thread your beads in the design you want on the wire, when you are done cut the wire making sure you have enough wire left to loop this end also. You then attach a chain to the loop or use a jump ring to connect it. You will then need to add a clasp, do this by attaching rings to the ends and then putting on the clasp. It is very easy to make some simple earrings, use a headpin and put beads of your choice on it using an interesting color or design. The head pin needs to be bent at a sharp angle and looped. To complete your earring, use a french wire or other earring finding on the loop and you are done. As soon as you learn the basics, you can let your imagination run free and create unique pieces of jewelry. There are many different designs you can create to make your jewelry unique and learning how to make wire jewelry is definitely a skill that will enhance it even further. Your jewelry can make or break your outfit and learning how to make bracelets can definitely have a dramatic impact on your personal style. Having the right accessories in your collection is really something that you want to do to try to be as stylish as possible. However, trying to put together a great collection of accessories can be very expensive. One way that you can reduce that cost while also infusing your jewelry collection with personality is to make your own beaded bracelets. Not only is it fun, but it will really allow you to display your personal tastes on your arm. Making beaded bracelets is really fairly easy, but the first thing that you need to do is to make sure that you have all of the right supplies. To begin jewelry making you will need to purchase special beading thread, clasps, bead tips, beading glue, scissors, long straight pins, and perhaps most importantly beads! When selecting the beads to buy have fun! Additionally you will want to have a flat work surface to make your jewelry on, and you should pull out some towels, scissors, and flat nosed pliers from around your house. Once you have all of your supplies you are ready to get jewelry making. You need to decide how long you would like your bracelet to be. Typically, most bracelets are about seven inches in length, but if you are making an ankle bracelet you will want to add a few inches to that length. From there you need to decide which beads you want to make your bracelet out of. This is really the creative part, and there are no set rules to this. A good rule of thumb is to space out some of the larger beads with smaller or “spacer beads” in between them. Additionally, you will need to choose which clasp you would like to use as well as the bead tips that you are going to use in your bracelet. You will need one clasp and two tips per bracelet. To get started you will want to set your beads out on your workspace so that you can play with their order. Take the time to plan so that you are not frustrated later with things not working out the way that you had envisioned them. Once you have your design laid out you need to get out your bead thread. Make a knot at the end of your bead thread and trim any excess. From there you will start to thread the bead tip onto the thread. After you get the first bead tip threaded you will want to pull out your glue so that you can place a small dot onto the knot that is resting against the opening of the bead tip. Once the glue has tried use your piers to press the open edges closed. Now you are really ready to get started. Continue by threading your beads onto the bead thread. Once you have all of the beads on you will want to string on the remaining bead tip. Tie a knot and use your straight pin to move the knot into the open bead tip. Once it is set cut any excess thread and use those piers to again close the bead tip as you did the first one. All that you have left to do is to affix the clasp. Take one side of the clasp and hook it onto a bead tip. Use your round nose pliers to secure it. Then do the same to the other side, and voila! You have learned how to make bracelets! It’s not all that difficult how to make bead jewelry and it can also be fun; a lot of people make jewelry to give as gifts to family and friends or to sell as a source of extra income. If you can develop some skill in jewelry making, then you can do the same – imagine being able to make your own personalized gifts or even start a small business making and selling jewelry in your spare time! Beaded jewelry is extremely versatile; you can make nearly any kind of jewelry at all using beads. You can make earrings, bracelets and necklaces all with relative ease. If you take care in making these items, they can look just as good as commercially produced ones! Best of all, once you learn to make your own jewelry, you’ll never be at a loss as where to find the right piece of jewelry to match an outfit – you can simply make it yourself! However, a lot of people rush into jewelry making and go purchase beads, but neglect to find out what else they will need. Before you go shopping for supplies, make a list of all of the materials and tools you’ll need so that you won’t miss out on picking up important supplies. Before you get started, you’ll need to know what you’re looking for. When it comes to stringing beads, Tigertail is a good material to choose. It is very strong but it does tend to kink more easily than do some other materials. An alternative choice is soft-flex wire. You’ll probably also want to get some crimping beads. These help hold beads in place as you work – a crimping tool is also a good choice. While you could use a pair of pliers (which is cheaper), a crimping tool is well worth the extra expense since the results you’ll get are far better. As far as beads are concerned, there are a lot of choices, so don’t think that you have to stick with ordinary styles of beads. There are shapes, sizes, colors and materials of bead which can make jewelry which is as unique as the person who will wear them. It’s always a good idea to have a close look at your beads before you actually string them. Lay them out so you can see how they’ll look. A bead board is a good tool for this and if you don’t have a suitable place to lay out your beads, this is an item you should consider. Unless you’re pressed for time, lay out your beads and let them sit there for the day. If you still like the way t looks the next day, then go ahead and string your beads. The only limit to the styles of jewelry you can make is your imagination. Of course, the style you choose to create will influence the length and the way that you string your beads; measuring carefully beforehand is key. It’s a good idea to get a measuring guide to help you as you get starting making jewelry. There’s nothing worse than making a piece of jewelry only to find out that it’s not the right length! You’ll usually have to remake the whole piece to fix these kinds of measuring mistakes. Making beaded jewelry gives you the rewarding feeling of creating something by yourself. The jewelry you make will be cherished by the people you give it to – and you’ll love wearing your own designs too! Before you start, give some thought to taking some jewelry making classes or get some detailed instructions to make sure that you make jewelry which is made well as well as being beautiful. In these tougher economic times, past times such as learning how to make jewelry can seem like an unlikely and unreasonable one due to the cost. However, do not fret because with a little smart and economical planning you can have plenty of jewelry making supplies and still not break the bank. There are plenty of inexpensive beads and tactics to take that will still allow you a wide range of creativity in your jewelry designs and you jewellery making will not be impacted. Today I'm going to talk about just a few things that you can do with a small budget and create beautiful handcrafted jewelry. The first and probably most obvious suggestion is to simply design and create smaller jewelry designs. No, I'm not suggesting you create children's handmade jewelry; only that you scale down the types of projects you're doing. 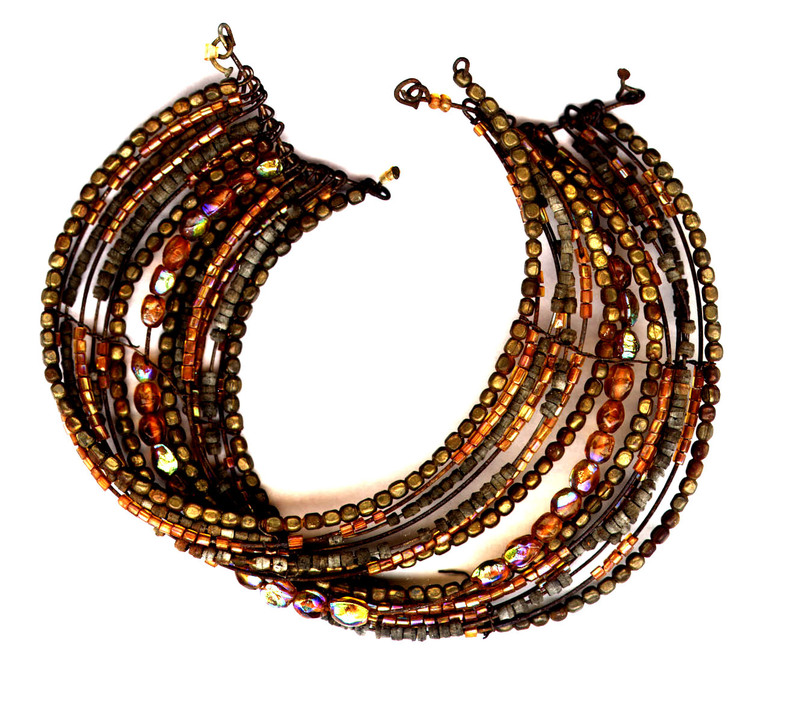 For example, you can create a beautiful pair of earrings that can compliment any outfit that you have in your closet. The amount of supplies that you would need to create an ornate pair of earrings is significantly less than you would use for any bracelet or necklace piece you would create. Any time the conversation of how to make jewelry that will stand out the most, inevitably the debate over which type of chain is better to create new jewelry designs with will begin. It should come as no surprise that silver and gold chains are the top two in the list of chains, however you should know that there is a myriad of other metal chains that are just as beautiful when complementing the handmade jewellery AND are significantly cheaper. 1. Gunmetal - Gunmetal is a type of bronze, essentially a mix of copper and tin. It is a relatively inexpensive metal and can be perfect for some jewelry design. 2. Copper - Copper has been used for countless centuries as a staple of jewelry and decorative design. It is a unique metal since a lot of alloys are typically grayish or silver in color. What better way to add color to handcrafted jewelry? 3. Brass - Brass is yet another alloy that is a mix of copper and zinc. The unique properties of this metal vary depending on the ratio of zinc and copper, creating a fabulous metal for jewelry design. 4. Plated Gold - If you truly MUST have gold in your handcrafted jewelry, then perhaps a plated gold chain will help to ease the pain of an expensive gold chain. Plated gold is an item that is primarily a chain that is made from another metal typically copper or sometimes silver; but is then given a small deposit of gold on its exterior. Another simple tip to creating budget friendly jewelry designs is to create your handmade jewellery with beautiful central pieces complementing them with the less dramatic beads or pieces such as seed beads in beaded jewelry. One really cool example that I can give is that of lampwork beads which are very beautiful and dominant beads. Sometimes a jewelry design just needs to utilize pure silver or gold. In situations like this its dependant on your creativity to find a way to minimize how much needs to be used. As someone who likes solving problems and working on sudoku, I find it a fun challenge to try and make a piece work without having to use too much of the precious metals and to date have had great success at doing so. In learning how to make jewelry with beads, you will find out that the seed bead is a tremendously versatile jewelry making supply that is also very friendly on the budget conscious beader. In a project, you may choose to just use nothing but one color to minimize the extra beads in small amounts; or simply use different colors to add a depth and personality to a piece of beaded jewelry. Jewellery making is a wonderful past time that can bring years of joy and visual pleasure in your life. Since almost no one can escape hard economic times it becomes important to begin integrating a bit of economic savvy in your jewelry design habits. Learning how to make jewelry on a budget can be done with great success and have jewelry pieces that are fabulous and beautiful as well and not break the bank. Learning how to make jewelry is a great way for you to express yourself creatively. There are several different kinds of jewelry crafts and one of the more popular is beaded jewelry. Bead and jewelry making supplies and tools can quickly add up to major purchases. In addition, you may find huge differences in both quality and function of these items. Beading is one of the most simple and affordable types of jewelry making to get into; plus it has the most versatility when it comes to color, style, and design. We are back with another post to talk about the tools that you will need to create your homemade jewelry. In previous posts, you learned how to create your basic toolkit of beading tools as well as the best tools to have when you incorporate beading with wire. So what is the next step now? You've got storage in place and your tools...Oh yea! You need some materials to create your jewelry pieces with. The first thing you need to decide is what part of making jewelry are you going to start? Now this is not a simple question to be answered, there are so many different types of techniques in jewelry design. For example, there is bead stringing, bead weaving, wire wrapping or just a simple bracelet or necklace. Bead Stringing is exactly what it sounds like; simply putting beads on a string. I listed this first since it is the most basic techniques and most common for beaded jewelry. It does not require a large amount of skill or specialty tools. Would definitely suggest you start with one of these types of projects first. Create a bracelet or necklace using beads of your choice and learn to crimp using crimping pliers. There are basically two types of bead weaving, one that involves a loom and the other that is done off of a loom. It is the last type that we will be talking about. All off-loom techniques can be accomplished using a single needle and thread, but some have two-needle variations. Bead weaving results in a flat piece of beading. These creations show pictures or icons, or are done in patterns. As a technique for making handmade jewelry, stringing is definitely easier than say, bead weaving, but once you become skilled weaving is also a very rewarding technique. Wire wrapping is one of the loveliest ways of converting that beautiful stone, shell, or other special small object into handcrafted jewelry. Learn to even design your own rings with precious metal wiring. Wire wrapping enthusiasts can select from sterling silver, gold-filled or permanently colored solid copper wire. Ear wires are defined simply as pierced earring wire findings with an eye pin attached for connecting to an earring body. If you haven't guessed they are perfect for when your are creating new ear rings. Crimp tubes are critical pieces in jewelry design when you are making a piece that is utilizing beading wire and you need to attach a clasp to the end of it. Getting a handful of the basic ones is fine to start out with; however I'm sure as you've noticed with this hobby is there are many different varieties of all the materials in making jewelry. Head pins are one of the staples of many jewelry makers. While you can make your own, it's usually a good idea to have an assortment of these on hand. They are used to make a variety of jewelry pieces like earrings, bracelets or necklaces. They come in various lengths and usually expressed in inches. These head pins and eye pins are two of the most basic and often-used jewelry findings. 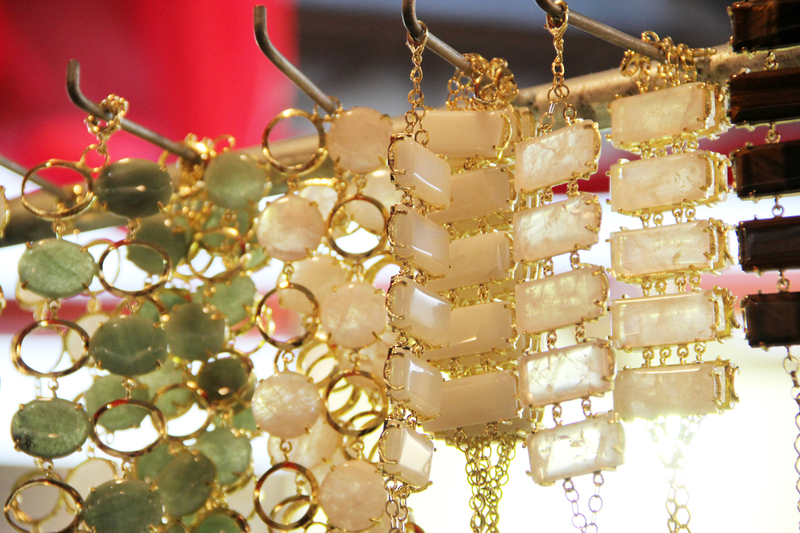 For everything from simple dangles to elaborate constructions, you'll want these components! Clasps are a very functional and required component used in jewellery making. Their primary function is to secure to ends of your jewelry, such as a bracelet or necklace. You can choose from sterling silver, copper, premium silver plated, and silver tone clasps and many others, even multistrand clasps. Clasps are sometimes set with gemstones which can provide a beautiful blending with gemstone beads. They are the finishing touch that makes your bead work stand out and stay secure. Jump rings are one of the most basic and often-used jewelry findings. From elementary applications like attaching a clasp or pendant, to complex functions like building intricate chainmaille, these are essential components! A jump ring is simply a loop of webbing around a steel ring with a snap hook on the end. They’re very simple and incredibly sturdy. As I said, a jump ring is a simple wire loop. To open them, push one end forward and one end back. Jump rings can also be joined together to form a simple chain. You can buy jump rings cheaply at any art or beading supply store; however once you get the hang of it, you’ll find that making them is easy and of course much less expensive. These items will become a staple of any project that you endeavor to create and will always come in handy if you be sure to store these away in your project room. Homemade jewelry making is an extremely rewarding hobby, as long as you take the time to be properly prepared. Creativity is encouraged and fun is also required when learning how to make jewelry! 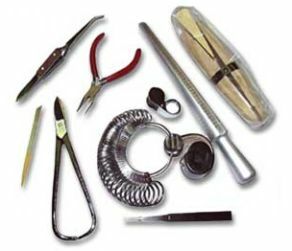 Adding to the last two posts on general beading tools and how to make jewelry, this post will focus specifically on tools that are useful when your beading projects are dealing with making jewelry with wire. As skill progresses a beader will eventually try new techniques and variations and that includes the incorporate of wire into jewelry pieces. Jewelry design that incorporates perfected wiring techniques are truly beautiful to behold and display to others. These tools are ones that I specifically utilize in my wiring projects -- you may even see some tools that you recognize from the previous post on basic beading tools. I will discuss in this post how they specifically relate to the wiring process since your first introduction was their basic use for all general jewellery making creations. The awl is a handy tool to have for whenever a project requires holes to be made in metal wire or any other metal pieces in the project. An awl is basically a steel spike with its tip sharpened to a fine point. The awl is a simple tool with which holes can be punctured in a variety of materials, or existing holes can be enlarged. 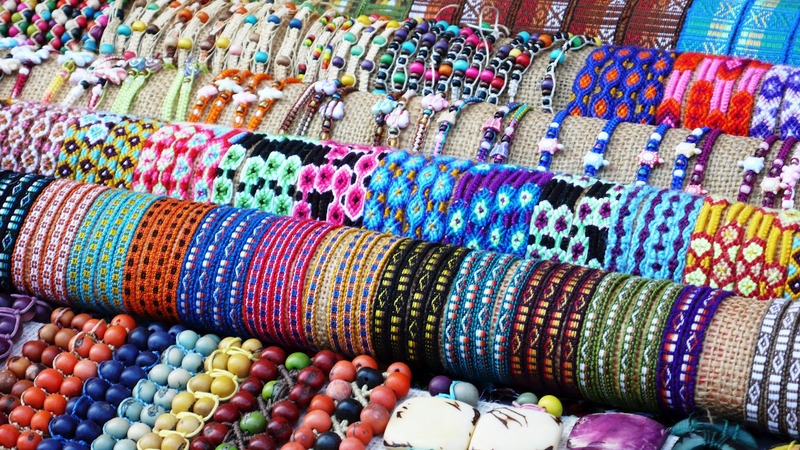 It is a staple of a lot of crafts including beaded jewelry, which you're reading here, as well as leather working, shoe making and just sewing heavy materials such as canvas. For beading purposes, its simply used for punching holes in metal materials or any other object that requires a precise hole placed into it. Since you will be dealing with a very tough opponent, the metal and wiring, it is always good to have a bench block that will help protect your workspace as well as providing a solid space where you can pound out the metal objects and apply the force that is required to manipulate metal. Think of the bench block to wiring jewelry as a cutting board is to a chef. There are many different types and varieties of bench blocks but there is no need to go to extravagant to begin with. For example, jewelrysupply.com has a very basic block that I have used before with great success. The round nose pliers have now made their second appearance! 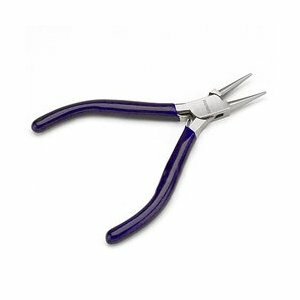 You will recall the the design of the round nose pliers are perfect for manipulating the shapes of the wire for handcrafted jewelry. They can be used to create loops or rings. 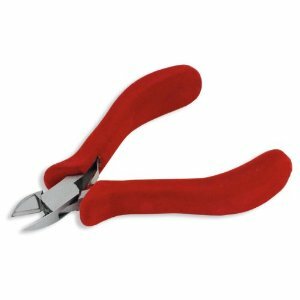 Purchasing a pair of these pliers will open up the opportunities of what you can create from wiring jewelry. The flush cutters are a tool that are specifically designed for jewelry wiring and have already been mentioned as an essential tool to have, but their use will not be fully realized until you begin wiring. Probably the one point I'd like to make is consider having two different flush cutters, one for the smaller gauge wires and another for the heavier gauges. The reason for this recommendation is that using the same flush cutter with heavy and small gauges can damage the cutter and make its effectiveness in clean cutting on the smaller gauges very poor. Ball-peen hammers are divided into two classes: hard-faced and soft-faced. The head of a hard-faced hammer is made of heat treated forged high-carbon steel or alloy steel. They are used when there is the danger of damaging a striking surface. More specifically, the ball-peen is used to flatten out metal objects and for the creation of textured designs of the metal pieces for the jewelry designs. The metal file is a tool that will come into use whenever your other cutting tools have begun to lose their edge and create jagged cuts and you need to file the edge down to something smoother. In the last couple of posts I've mentioned how the chain nose pliers are a versatile tool for use in beading. This still holds true even when your beading projects begin to include wiring in them. The basic uses for them on are for closing various clasps you've added to your jewelry piece or closing loops. Fortunately, a few of these tools are simply a repeat from the basic tool kit you would want to have as an amateur beader. On top of that the additional tools should not put too much of a financial hit to your budget as you're building your tools. Any one of these items can be purchased relatively affordable; there is no need to spend money on expensive tools when a more economical one is available, which is the key when learning how to make jewelry and still have money in the bank. Wire jewelry always adds a sophisticated look to your work. Now you may be asking yourself what is a flush cutter and why would I ever need one because you already have 11 different types of pliers that you went out and bought from the last post. A "flush cut", as you may or may not be aware, is one where the wire, after cut, is not left burred. You need a good flush cut for making proper jump rings, or for making any kind of chain from rings for your jewelry designs. The flush cutter is commonly V-shaped on one side and flat on one the other. Once again it all comes down to how professional you want the piece to be. 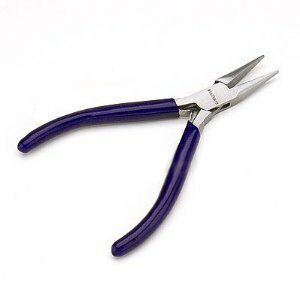 While you may ultimately have specialty cutters for specific wiring types such as metal, it is never a bad idea to have some plain old wire cutters for your handmade jewellery projects. You can use them for the more pliable beading wire –basically none of the metal wiring. In the last post I mentioned how the chain nose pliers are the most versatile of pliers; well the next versatile tool in the bunch would be some sturdy utility scissors. These can be used for a myriad of tasks related to your beading projects. You can use the utility scissors for things like cutting plastic, elastic items or even beading thread. 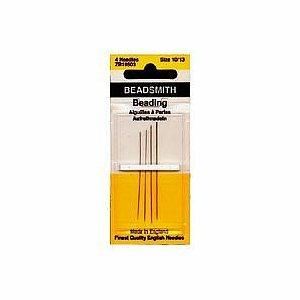 Beading needles may be pointed or ballpoint and straight or curved and are perfect for beaded jewelry designs. The size of the beads and the thread will help determine the needle size, which, as with tapestry needles, is lower when the needle is thicker and higher when it is thinner. They are longer than standard sewing needles, enabling you to string multiple seed beads and other beads. Twisted wire needles come five to a packet. Beading needles are very thin, flexible needles most often used for seed bead work. The advantage to using this type (rather than regular sewing needles) is that their eyes are the same width as the rest of the needle, so there's no added metal width to get in the way as you pass through seed and other small-holed beads. Beading needles are long, thin and flexible. Now to find a tool box for your beading tools!! 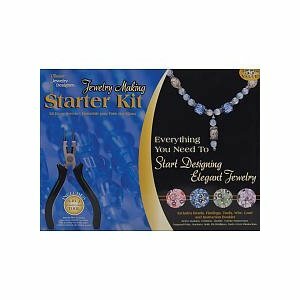 At this point, you have setup your room to be organized with all of your beading materials and you have now added to the storage an effective arsenal of beading tools with which to create beautifully designed jewellery for yourself to enjoy or sell making the learning process on how to make jewelry fun. Starting a new hobby can be intimidating so if you're still not ready to start, you can still save money with your jewelry purchases. I originally started this blog back in 2007 to talk about troll beads because they were so cool looking and I wanted to take a personal journey on what they could be used for and share this on the blog. Of course this naturally led to my great admiration for pandora beads which happen to be very similar in design. I love creating homemade jewelry and telling my friends how to make jewelry and as a result I modified this site to talk about all aspects of the jewelry making hobby. Who knew that you needed a lot of preparation and tools to make your own unique creations to your heart's content? How to Make Jewelry - Essential Tools Pt 1. In the last post you found out got tips for best managing your setting up your storage space for your jewelry making hobby; next of course is a list of the important tools of the trade that you must have as you discover how to make jewelry. As with your storage considerations, there must be some time put into what kinds of tools you should get. Bent chain nose pliers are extremely useful for opening and closing jump rings, positioning and working in small areas difficult to reach with straight chain nose pliers, and tucking in small sharp wire tips in your wire work. Bent Closing pliers serve the same purpose but have angled jaws for easy leverage to work with smaller loops and jump rings. Bent chain nose pliers have a 45 degree bend for getting into tight places. They are typically used to create angled bends in wire, close bead tips, open and close jump rings, and form loops, for picking up small parts, and opening and closing jump rings. I have listed the chain nose pliers because I have found them to be the most versatile and effective of all my pliers for jewellery making. The reason for this is because you can open loops that have been closed, things getting stuck together that your fingers cannot pull out, bending wire and many other useful functions. Chain-nose pliers have smooth flat jaws that taper to a point. Unless I’m completely off base you will be using these pliers all the time! Chain nose pliers are great for closing bead tips and crimping in tight places. They are a good tool for wire wrapping; chain nose pliers are quite similar needle nose pliers without the grooves on the inside of the jaws. What this does is allow you to manipulate the wire with out fraying or in any serious way, damaging the wire. Some novices to beading may mistakenly think that stringing beads on wire and then simply squeezing the crimp tubes closed is the correct method. This is not correct as you can sometimes find that the crimp tube is not sufficiently closed off. This is where crimping pliers come in handy. They have two oval holes in the nose. The oval closest to the handle also has a depression in it, for keeping the wire round. Crimping pliers of this type, i.e. Such a gauge, which is usually provided in the form of an adjusting mandrel, has to be made available in this connection for all adjustment measurements of the crimping mandrels. While you could probably use the chain nose pliers in place of the round nose pliers, their primary purpose in the jewellery making world is to give your pieces that professional look and feel about them. I challenge you to bend loops with the chain nose and then to do the same with the round-nose and you will see that the finished products will be a cleaner looking piece of jewelry. Round-nose pliers have smooth cylindrical jaws that taper to a point. Quick tip: Since these pliers have a tapered design you can make loops of many varying sizes based on where you place the wire on the pliers. As I mentioned the round nose pliers look similar to the Chain Nose pliers are but are used to give a professional finish to the handcrafted jewelry. You may have to go to a specialty store since these may not be readily available at the local hardware store since these are specialty pliers created for the handmade jewelry making industry. One particular brand, Beadstrom Round Nose Pliers, have ergonomic handles and precision tips, Double leaf spring action creates less stress on hands and provides and always open pliers. Beads of choice are glass beads, semi-precious with large holes, and lamp work beads. If you aren't quite ready to jump into making your own jewelry you still don't have to miss out on fun projects. Other fun DIY projects could be learning how to make your own homemade candles. So you have decided that you want to learn how to make wire jewelry as a hobby. This may be just to fuel your creative juices that you have inside or perhaps you want to make a little extra money by selling some of your handmade jewellery on the side. While beading is a very rewarding hobby you want to make sure that you have all the proper tools in place before you begin or frustration will definitely sink in. Your first thought when you are learning how to make jewelry by beading might be, how could I run out of storage space? 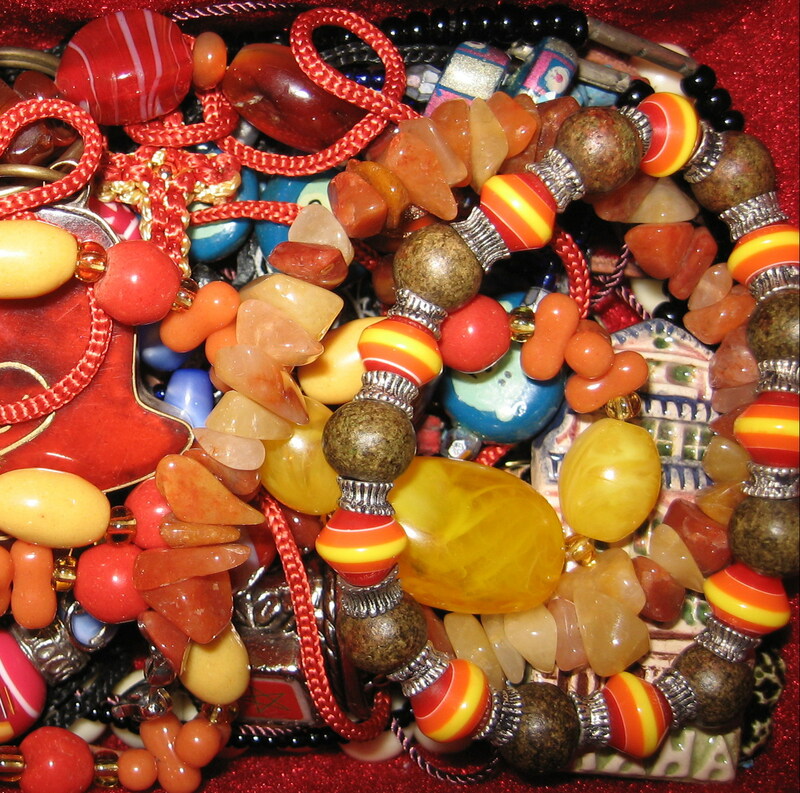 Beads take up so little space so it shouldn't take up so much space to make beaded jewelry. Surprisingly, though, the storage bins of tools, thread, string and beads can add up quickly. Before you know it, you can no longer get into your project room. Another significant downside to an unorganized project space is that will begin to take you sometimes two and three times longer than it should to design new bracelets or necklaces because you will spend your time hunting down your beads than actually stringing them together. Now don’t jump ahead and buy a bunch of new bins from Michael’s or some other crafts store. That is something that is later on in your organizational strategy which will make your journey of learning how to make jewelry much more rewarding and stress free. The first priority is putting together a game plan for sorting your beads. When you start out you may only have one type of bead and one type of string – the sorting will be easy at this point – however once you find your comfort level with one set of materials, there will be a significant increase in the assortment of beads and other materials. As I said, the first step in keeping an organized beading space is to begin sorting. Now, I’m not going to tell you exactly how to sort because it will be your choices of projects that dictate what sorting method will be most effective for you. 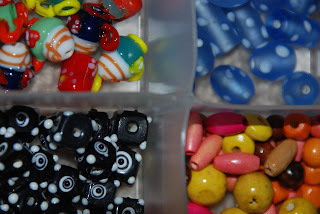 This could be a simple sorting of the types of beads – an example being by seed beads, glass, Milagros, gemstone, etc. Then again, you may want to sort by the sizes of the beads, their type or bead color. The key is to make sure that you start with a strategy and don’t veer from it because your workspace will soon turn into an area that looks like a tornado hit your room! Once you have decided how things will be sorted, the next task at hand will be to choose how to store them. You have options here too, but the most basic concerns for beaders are typically whether to choose storage bins that you can see into – an thus aware of what stock you have, or just some solid colored bins. The beader can choose a bin with many small drawers or ones with just a few. And you thought that learning how to make jewelry; specifically beading was simply a string and clasp job and you’re done! In all seriousness, beading is an enjoyable hobby and can continue for many years as such; as long as you properly organize your jewelry making supplies from the get go. This site respects your privacy and is committed to safeguarding your privacy while online at this site troll-beads.blogspot.com The following discloses how this site gathers and disseminates information for this Blog. If a user wishes to subscribe to the RSS Feeds or Email Updates (powered by Feedburner), we ask for contact information such as name and email address. Users may opt-out of these communications at any time. Your personal information will never be sold or given to a third party. Like most blogging platforms this site uses log files. This stores information such as internet protocol (IP) addresses, browser type, internet service provider (ISP), referring, exit and visited pages, platform used, date/time stamp, track user’s movement in the whole, and gather broad demographic information for aggregate use. IP addresses etc. are not linked to personally identifiable information. This Blog contains links to other sites. Please be aware that this site is not responsible for the privacy practices of these other sites. It is suggested that users of this site be aware of this when they leave this blog and to read the privacy statements of each and every site that collects personally identifiable information. This privacy statement applies solely to information collected by this Blog. This site may use outside ad companies to display ads on this blog. These ads may contain cookies and are collected by the advertising companies and we do not have access to this information. W work with the following advertising companies: Google Adsense. Please check the advertisers’ websites for respective privacy policies. There comes a time for everyone who is in the habit of producing creative material-- regardless of whether your creative energies involve beads, making jewelry pieces or even creating a blog post. When you first get started in learning how to make wire jewelry or other pieces of jewelry, there are going to be a lot ideas or themes that you will want to create. After some success with the smaller projects you begin to expand your operation. You get extremely ambitious in your endeavors and begin to stock up on your supplies -- from bulk jewellery to bulk beads -- making plans for the great designs and pieces that you will create! You're sitting at your desk and NOTHING is coming to you. What are you going to make next. When this happens you should look no further than your bedroom closet. So where do you get your inspiration for your beads making projects? If you have a unique piece of jewelry posted on the internet, please let me know and I will promote it here! 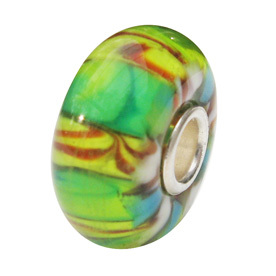 Trollbeads Blog: Coming Soon...New posts and topics!! I know that I have not posted to this troll beads blog in a few months; amazing how things can come up and throw off your entire routine. The good news is that I've decided to expand the topics of this blog so that it doesn't focus only on troll beads but many of the other fascinating objects that make up beading. Expect a couple of projects to be listed as well!! Jewelry making with discount beads is a fun and rewarding hobby that give you a creative outlet for years to come! The basic skills of making jewelry with beads are pretty easy to pick up but some can take a lifetime to master. Beading projects can be made from inexpensive decorative materials, or from gemstones and precious metals such as gold and silver. The design of your necklaces, bracelets, and earrings is limited only by your imagination. 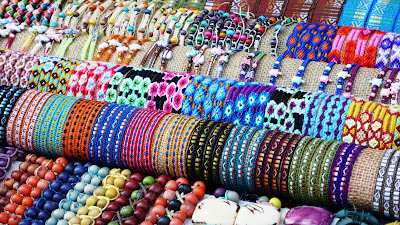 Beaded jewelry symbolizes many different beliefs for different people. Making jewelry from alternative materials, such as pandora or troll beads, can quickly become a totally new form of jewelry making. These new pieces are built off the foundations and skills of basic bead jewelry making. There are actually a few books that deal with making jewelry out of non-traditional materials. Discount beads used for making jewelry is fun - and selling it can be both rewarding and profitable. You’ll sell more of your handcrafted jewelry if you concentrate on making jewelry your customers want to buy as you follow your artistic intuition. Troll beads are created by internationally renowned jewelery designers; designed from Italian Murano glass, natural pearls, semi-precious and precious stones. Trollbeads are amazingly high-quality beads made from a variety of different premium materials and designed by numerous different people and are perfect for those who want to know how to make wire jewelry with unique pieces on them. They work almost like a charm bracelet, allowing the wearer to attach any bead to a chain to make her own piece of bead jewelry with its own story! 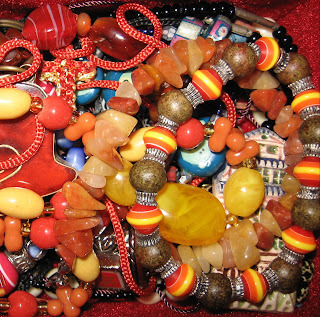 Troll beads are beads originally created by a Scandinavian company and used in bracelets. They are whimsical and fun and are similar to the popular US "charm bracelets". Charm bracelets have been the subject of several waves of trends. Queen Victoria wore charm bracelets that started a fashion among the European noble classes. Charms also were worn in the dark ages to represent family origin, religious and political convictions. 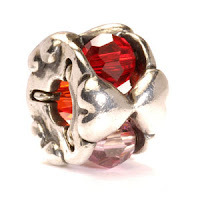 Trollbeads are compatible with Chamilia and Pandora beads. Those beads will fit on a troll beads bracelet however the Troll beads will not fit on a Chamilia or Pandora bracelet or chain. They are created by eighteen Danish and internationally renowned jewelry designers. Troll beads allow you to create your own story with many different symbols, flowers, animals, zodiac signs, colors and materials, there are endless combinations or variations. They really are remarkable, beautifully-created, and wonderful charms/beads - that take art of creating a bead or charm bracelet so much fun! Not only is it fun, but you can quickly and easily change your bracelet with every whim of desire, or to match any outfit you might wear ANY day! Genuine troll beads are made from the highest quality raw materials including sterling silver, 18 karat gold, Italian Murano glass, natural pearls, semi- precious stones and amber. They are solid cast beads that simply slide onto the bracelet or necklace and are completely interchangeable. The beads do not lock into place, but move freely. Start learning how to make jewelry designs that are stunning by adding to your collection of beads by adding troll beads. Supplies: 20-gauge brass wire, 1 brass toggle clasp, 45-60 Troll beads with holes large enough to fit the 20-gauge wire. 1. Cut 4 yards of wire. Fold in half. Insert wire through ring on circle portion of toggle and slide to fold. 3. Now separate the wires. About 1/2 inch past the twist, bend one wire into a "U" shape. Slide a bead into the "U." Hold bead and twist until wire beneath forms a twist. 4. Repeat step 3 with the second wire. 5. Using chain-nose pliers, hold both wires 1/4 inch down from beads. Twist beaded section until twist is 1/8 -inch long. 6. Continue steps 3, 4 and 5 until bracelet fits comfortably around wrist, allowing room for adding stick portion of clasp. 7. Cut remaining two wires, leaving each with a 2- to three 3-inch tail. Using round-nose pliers, bend joined wires to 90-degree angle above twist. 8. Make loop by bringing wires over top jaw of round nose pliers. Slip toggle stick into opening of loop. 9. 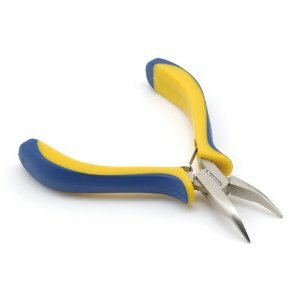 Grasp partial loop with round-nose pliers. Hold wire tails with chain nose pliers and wrap tightly around wire stems beneath loop, two to three times. Trim excess wire. Let me know what you think of this project and I will try to find more that you can use to make even more of your troll beads jewelry. This is a pretty simple project for those just beginning to learn how to make jewelry. Well after a long holiday break from updating my how to make wire jewelry blog, I have returned to give all of you the opportunity to find out more about troll beads and the beading hobby by giving you a list of the books that have helped me to become familiar with beading, finding the right tools and workspace...of course in the most economical fashion possible. I have always enjoyed the "for Dummies" series of books, due to the simplification of all of the tasks. 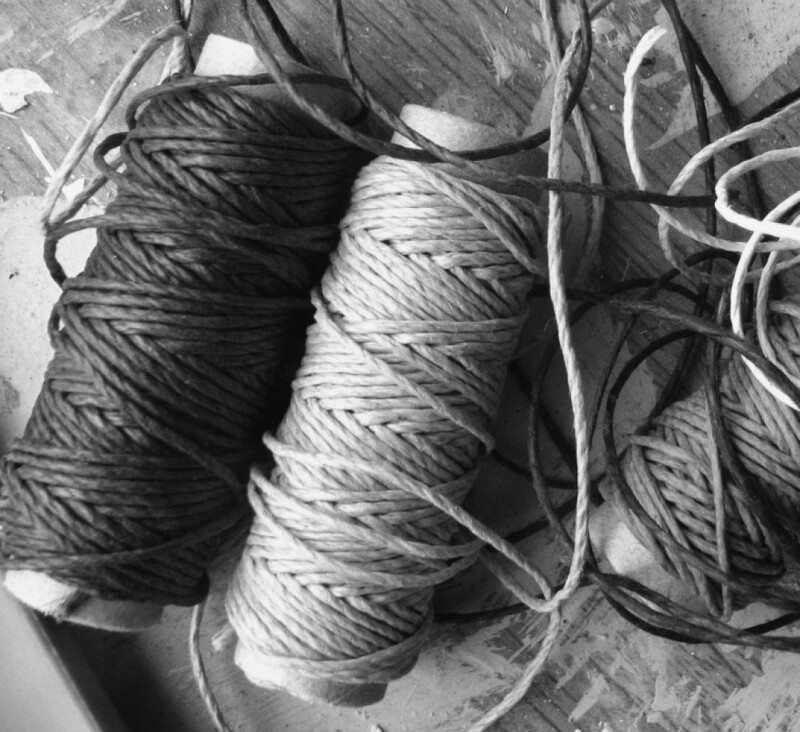 This one in particular has step by step instruction for beginner projects all the way to the more complex ones that involve things such as wire wrapping and knotting. So whether you want to use trollbeads for making necklaces, key chains or wine charms, you're sure to find the steps to guide you on how to make jewelry on your beading project. Personally, I consider this my beading reference book! This was the second book that I purchased and after getting the basics down, "Beaders Companion" is just that, a companion to provide you with all of the terminology and reference for a huge list of beading techniques. I definitely recommend getting this book after reading a more introductory-type book like the book listed at #1. 3. Bead on a Wire: Making Handcrafted Wire & Beaded Jewelry by Sharilyn Miller. Now we have ventured into the arena for the more experienced beaders. After you have done about 3-5 projects of beading together trollbeads, this book will provide you with the information to create more complex jewerly. Sharilyn has a wonderful way of elaborately describing and detailing all of the advanced techniques. Once you've done a few of the ones illustrated in this book, you will be a pro!!! This final book is being listed because, after creating several works of art (IMHO!! ), I ran across this book at Barnes & Nobles. I thought to myself, what the heck?!! I enjoy making these pieces of jewelry, why not see if I can make some extra spending money. Viki takes a very good approach to describing all of the skills and factors that come into play in presenting, pricing, marketing and ultimately selling your handmade pieces of jewelry. 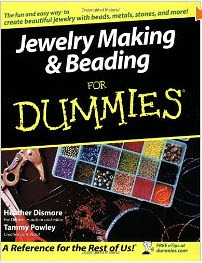 Now this book may not be for everyone, especially those of you who enjoy beading as a simple hobby to relax after a long week! If you want to pad that emergency fund with some extra cash, this might be the way to go. I hope that you go out and enjoy these excellent books, but more so that you find the passion for creating one of a kind pieces of jewelry with troll beads. You will be creating items that you can't just go down to the local jewelry store or mall outlet to find!! Stay tuned for the next upcoming post that will include a beginner's level beading project for you. In the meantime, if you want to pick up some beads to get ready to do some beading be sure to follow the link above! !